Apart from all the cosmetics in their plastic bottles (some are recyclable) what lands in the landfills very often even though it is biodegradable are common cotton pads, cotton balls and other forms of cotton used for make-up removal or as cosmetic accessories. 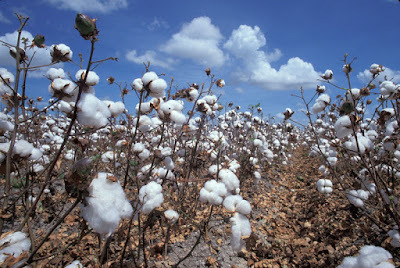 Now cotton is a natural material and it disintegrates nicely in between 1 month to a year, but there is a caveat: when cotton is not grown in an organic way and it biodegrades, chemicals used to grow it or treat it (for example to bleach pads so they look nice and clean) seep back into the ground and harm the environment. Clearly I don't want to bin those. Nor do I want to compost them, as my compost is often used to grow plants my family then eats. Step one: use cotton pads I already have as a base for plant pots when planting flowers and other plants which will not end up on our plates. Some of the chemicals will get absorbed by plants, some will seep out of the planters with water that can be gathered and then flushed (I know not the best method, but that water goes to cleaning facilities and will be much better treated there than if it went to a landfill). 3. sponge (even foundation sponge), but best something natural which when discarded will biodegrade. 1. flannel pieces or muslin squares, especially that you can buy end of lines in creativity shops or fabric stores and they feel by far the most pleasant on my skin. There is however another issue here. Would land-filling cotton balls strain the environment more than washing. Lets not forget, that clothes cleaning processes are a source of various environmental impacts, linked to the consumption of water, energy, detergent and solvents. Where the most important seems to be connected with the toxicity of detergents. But if I think of the amount of detergent (ideally least harmful to the environment and not overdosed) used to wash two pads daily / or 60 monthly (possibly around a teaspoon per month) as opposed to binning those 60+ cotton pads it seems that's reusable stuff is much better for environment. For my research into this check this post.